Just reminding everyone that FMA: Brotherhood, the new version of the FMA anime that follows the manga more will be starting it’s TV run tonight on Adult Swim at midnight. Adult Swim had a dry run for a couple months since they quit showing new episodes of Bleach to dub the rest, but this will make up for it. Well, the news that FMA: Brotherhood was first broke here on February 2nd, but even though I sent in a tip to many major website (Japanator linked to my post though, which is another great site that I love. ), they didn’t even know the news until LA Angeles weekly put it in their stuff. But, It has been confirmed on FUNimation’s twitter also. Which can be viewed here. So yeah, my specialty is information gathering, and that is what I did before everyone else. Such awesome skills that never get put too use though since most people want me to fix things instead. Oh well though, I may not get the credit I deserve, but I am still happy some people read my blog. 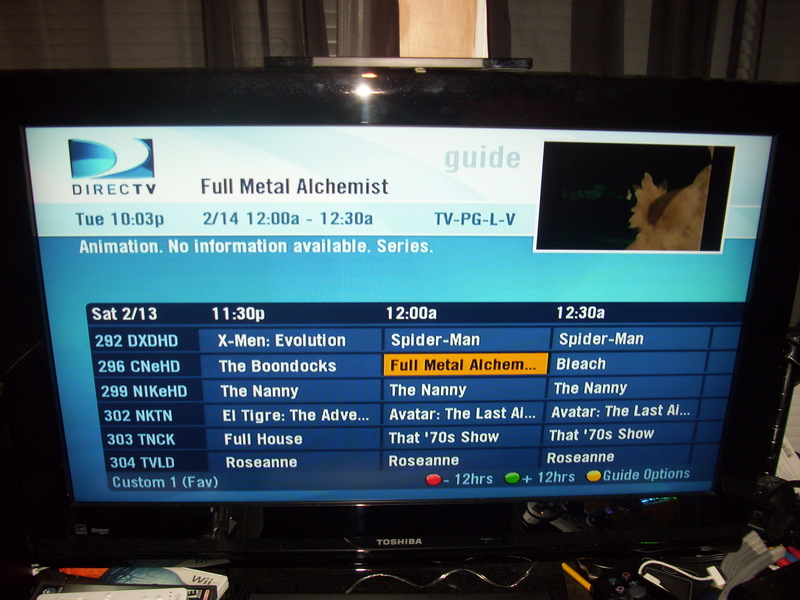 And I am happy FMA: Brotherhood will be on TV. 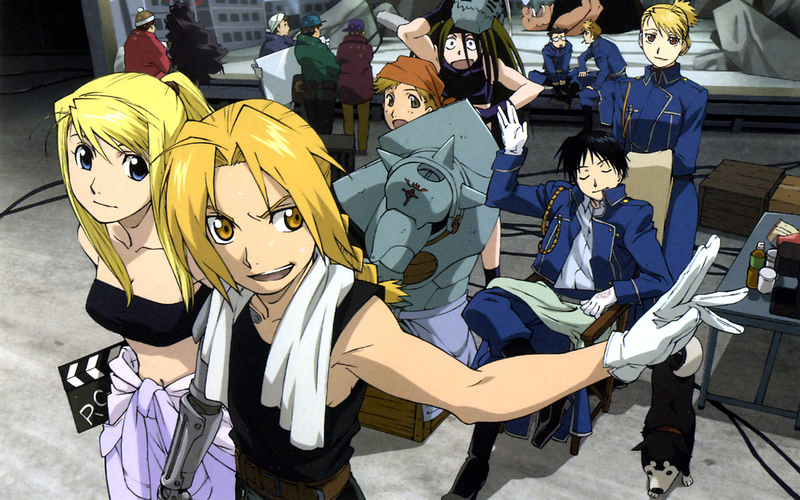 Fullmetal Alchemist: Brotherhood To Be On Adult Swim? According to my DirecTV guide that got updated about an hour ago, it will be, at least it will be if you are to go based on when the first of possibly 3 new anime are to start showing on Adult Swim. 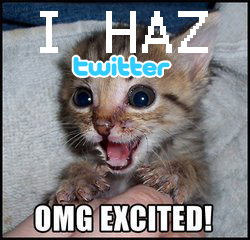 As of right now, I think I am the only one to have this news, so I feel special. FMA: Brotherhood was licensed by FUNimation (they also hold the license to the first FMA series) so it isn’t to surprising to see this, but I was still hoping to see the English dub of Vampire Knight first. Currently, it is set to air on Feb. 14 at 12:00AM (midnight). 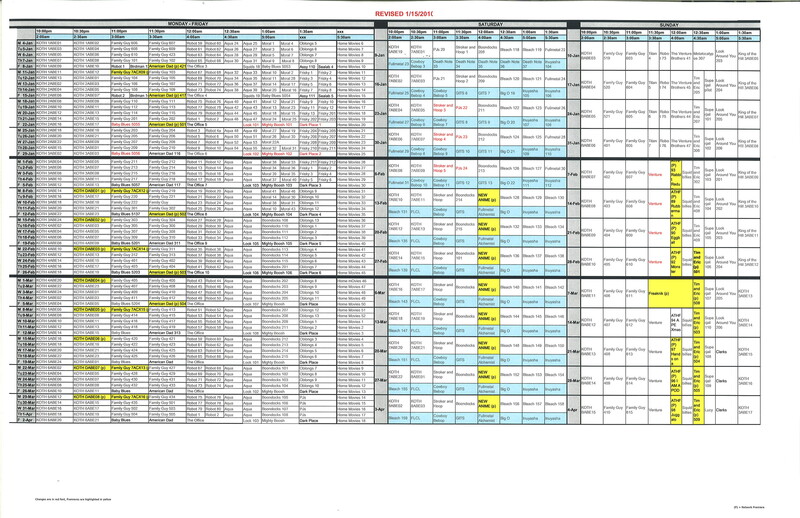 The image above has the schedule, but it is not Dial-Up friendly. But other than that, we have confirmation as to what it is, just a date of when it comes on. I myself am expecting it to be InuYasha the final act since that is the sequel to one of Adult Swim’s most popular aired anime. But it could be Vampire Knight, or even Soul Eater. Either way, it would be something worthwhile. Though, I have already seen Vampire Knight and plan to just get it on DVD. Adult Swim To Get 3 New Anime? That is what the little message on the screen said, and I think they may be telling the truth. 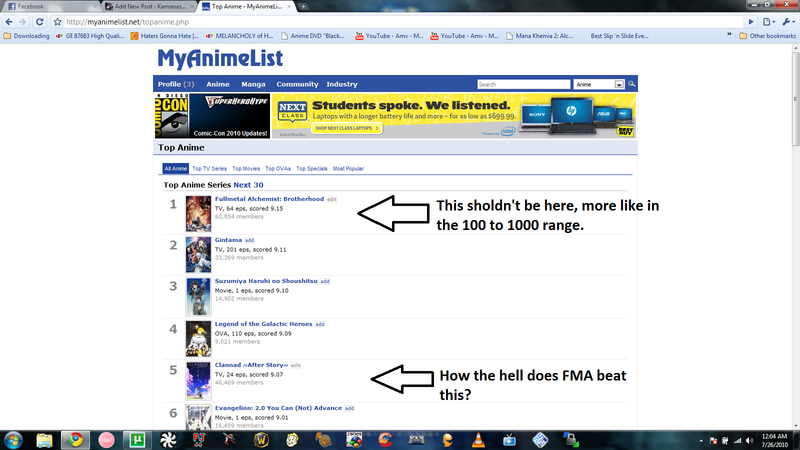 Glad to see they don’t hate anime fans totally, but who knows, maybe its just a troll they are planning. No other information of hints were given regarding what those possible 3 shows may be, but my guesses are Vampire Knight, InuYasha The Final Act, and I can’t think of what the other may be. But $50 (imaginary money since I am too poor to give out free money) says I am right about the 2 I named.